The worship team leads the singing one Sunday a month. Worshiping God is the heart and soul of our congregational life. 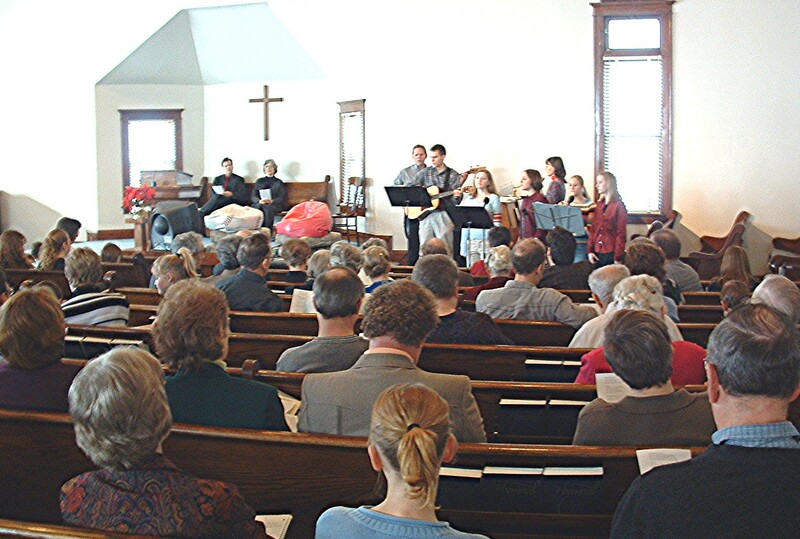 Our worship services blend contemporary music with traditional hymns. Our pastor’s sermons are Spirit-led food for our souls. We try to utilize the gifts of all our members in a variety of ways during worship service. Children are an important part of our congregation and we provide special times for them to participate in the service. An attended nursery is provided for those who choose to leave their little ones during the service.